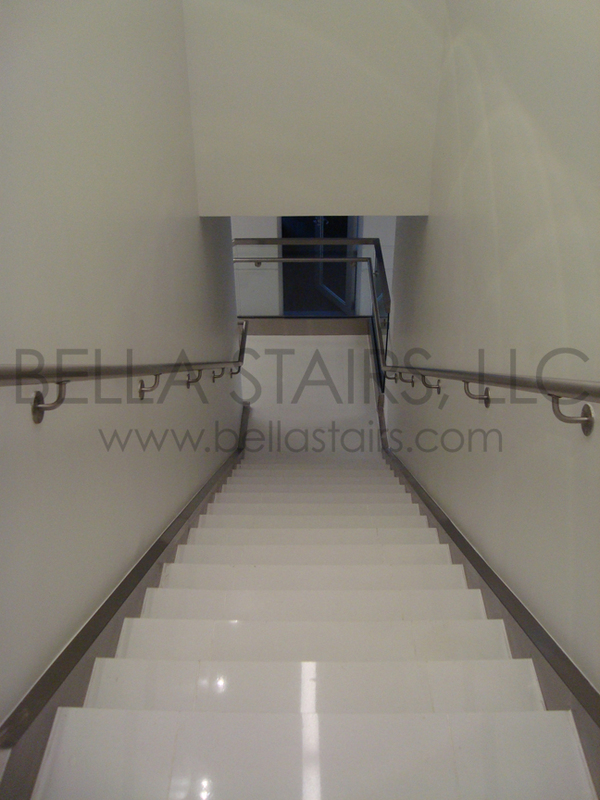 Bella Stairs designs custom staircases by following the strict protocols of the Florida Building Code without compromising aesthetics. 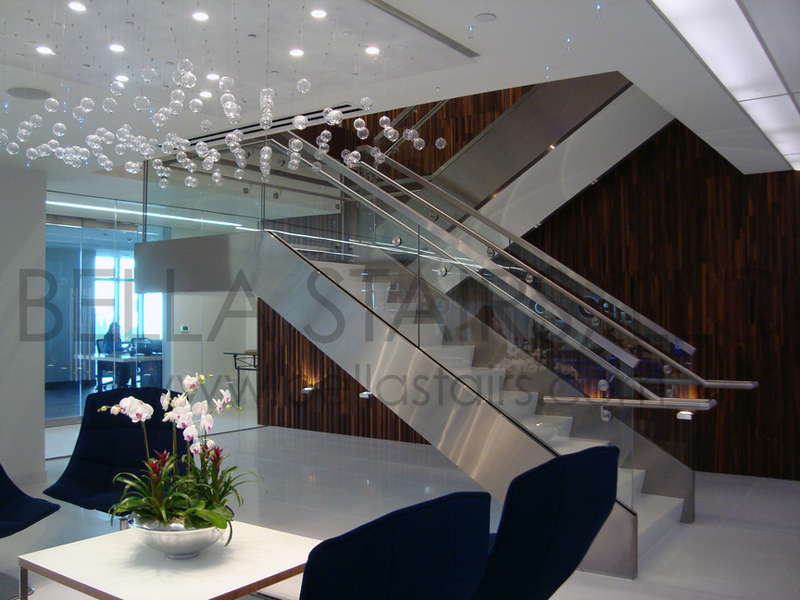 Located in the heart of downtown Coral Gables, our commercial staircase design integrates glass with brushed stainless steel elements. 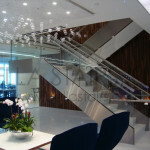 For this high-end commercial office space, we fabricated and installed two separate staircases. The main staircase is a dual stringer staircase, designed to float from the ceiling to the floor while avoiding additional columns. 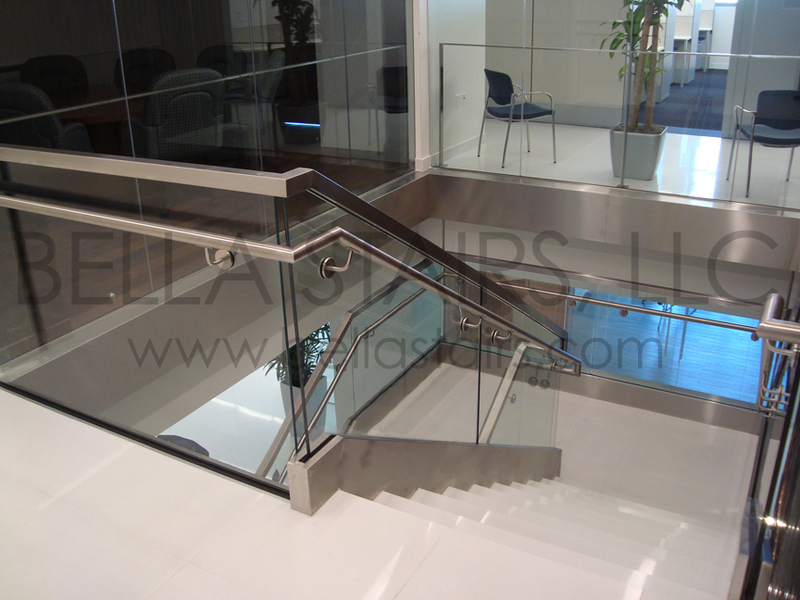 Clear laminated glass railings were top mounted to an aluminum base shoe, then later covered in stainless steel cladding to match the rest of the stainless steel elements. 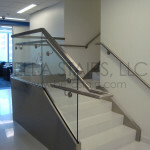 Stainless steel cap rails were top mounted to the glass railings for added rigidity. 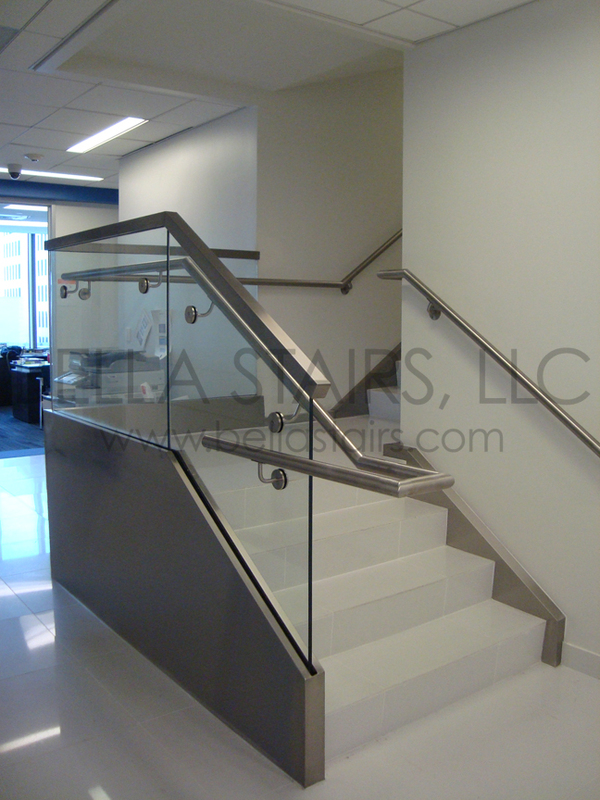 Two stainless steel handrails were mounted directly onto the glass railings on both sides of the staircase, as per Florida Building Code. 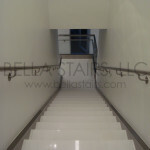 The second staircase, located in an enclosed stairwell, features wall mounted stainless steel handrails on both sides. 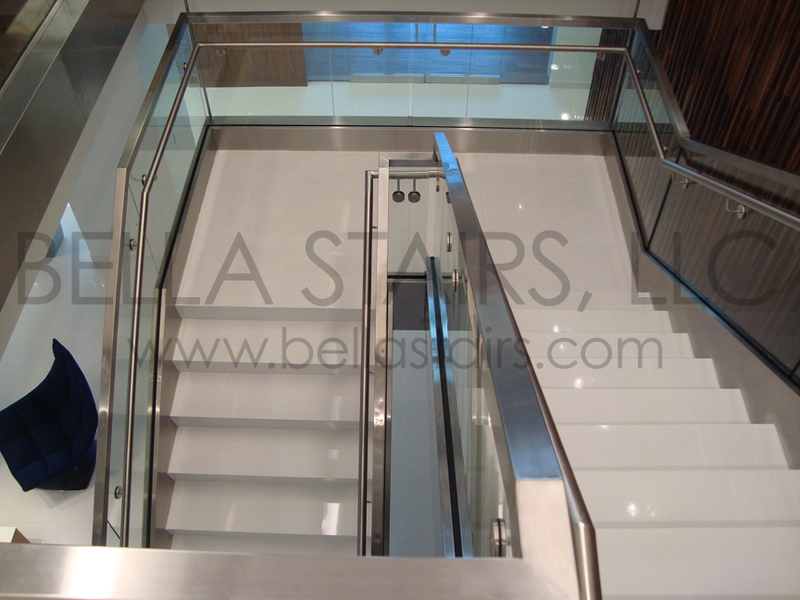 As you continue to descend, the staircase leads you to a landing with clear laminated glass railings along the guardrail and continue down the remaining three steps. 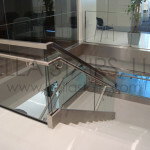 The stainless steel handrails transition seamlessly onto the glass railings towards the end of the staircase. 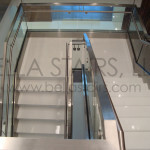 This high-end commercial staircase was on a tight schedule to finish. We delivered in four months, from engineering to turnover! Talk about a rush job!